The AMA will begin on Monday, February 11, at 11AM GMT. 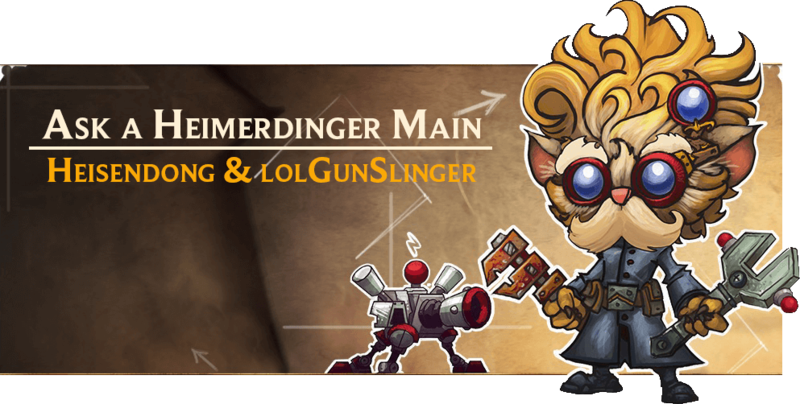 You can submit any questions you have for Heisendong and lolGunSlinger now, but be sure to check back periodically to see their answers to your questions! Heimerdinger, aka "the Donger", boasts an underwhelming 0.43% play rate and 0.08% ban rate in Platinum+ for Patch 9.2, according to champion.gg. That, however, doesn't stop the bold and the few. Two players who have consistently managed to turn Heimerdinger's kit into a freelo success story are Heisendong and Gunslinger. In this edition of "Ask a Champion Main", we'll be asking these both of these high ELO players "Why Heimerdinger? ", "How does one play Heimerdinger? ", and much more. With that being said, let's welcome Heisendong and Gunslinger, who have, and will most definitely continue to, put a wrench in their opponents' plans. Q: How did you get into League of Legends? How long have you been playing? League of Legends has come a long way, although I sometimes miss those early days where every strategy was a new discovery and people weren't afraid to pick random champs in random roles and build random items. It all started when one of my friends recommended playing a game that caught his eye. He asked me if I wanted to try it out, and I thought, "Sure, why not?" I started in 2013 during Season 3, and if you told me that I would play this game for 10 hours straight for 5 years, I would have laughed at you. That, however, is exactly what happened. I fell in love with the competitive aspect of this game- the endless possibility to win; and there's nothing better than the feeling of destroying your opponent. That's what drew me so deep into the game. Q: Where does your Summoner Name come from? When I started spamming Heimerdinger, I was only also spamming episodes of Breaking Bad. I noticed an uncanny resemblance between Heimerdinger's Hazmat skin and Heisenberg's Hazmat suit, so I badly morphed the two together and voilà; Heisendong was born. Well, I played a lot of shooting games before I got into League of Legends, and I wanted to incorporate what I thought I was good at, so why not be the Gunslinger of League of Legends? Q: What got you hooked on playing Heimerdinger? To date, how many games have you played as him? I've been playing the game for a very long time and generally staying away from champions that become popular. At the time, I had a bet with my friend that I could make it to challenger playing one of the (perceived to be) weakest champions in the game. I think it took me about 300-400 games to first get to challenger, and now I'm around 3,000 donger games played across all my accounts. 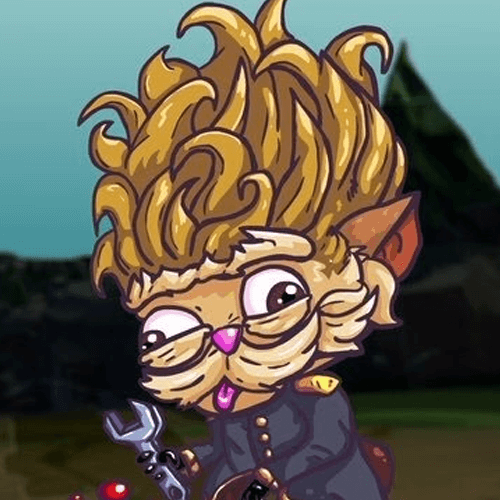 What really interested me in Heimerdinger was that he was looked down on. Personally, I liked playing the underdog; I wanted to be that guy who brought Heimer to the top of the League charts. All in all, with my smurf accounts, I've played well over 4,000 games with Heimer. Q: Who is your go-to champion if Heimerdinger gets banned? Recently, I've been playing the melee, physical damage dealing, Tentacle Priestess version of Heimerdinger- Illaoi. The split-pushing style between them is very similar, although their roles in teamfights are very different. I've been also enjoying a lot of Yorick (more minions, wooo), Lissandra, and Neeko. Neeko and Lissandra are similar to Heimerdinger as they are control mages, and they have huge area-of-effect wombo combo ults. I used to be an avid Gangplank player back in the day, but unfortunately my winrate with him is something around 36% Haha. Nowadays, I just dodge if Heimer's banned. Q: What runes do you run on him? I go Electrocute when I want more burst damage, or if I'm against shorter-range champions who I can reliably kill with my combo or land the E (grenade) on. Secondary can be Manaflow/Transcendence/Gathering Storm for easy lanes, or Magical Footwear/Perfect Timing and Minion Dematerializer for hard lanes. I would use this page if I'm against long range/push champions and my goal is to sit back and poke with W (Rockets). Why Aery/Comet? Because it'll proc when you land a W. Aery is better early game (if you can use autos to proc it), and Comet is better late-game, as rockets and turrets' lasers reduce comet CD, and your ult-Q (Turret) can proc it twice by itself. This rune page is the one I like to use the most. Aery is the main keystone I always go for. I've experimented with many keystones, and I feel as if this one helps me put out the most consistent damage from my auto attacks, spells, and turrets. Turrets are the most important skill in your kit for kiting around and applying consistent damage. That, combined with Aery, really helps you output the most harass and really bully people in lane. Rockets easily stack Manaflow Band, and coupled with the item, Lost Chapter, you have a decent amount of mana sustain. Celerity has been good in my recent games for the bonus movement speed when you move towards your turrets, increasing your ability to sidestep spells or run away if you're in an unfavorable gank situation. For the Inspiration tree, I go Minion Dematerializer simply for its lane pushing capability, assistance with farming, and gives you the opportunity to keep up in creep score against lane bullies. Cosmic Insight is an excellent rune for CDR on your Summoner Spells and items. Pairing that with Zhonya's is amazing, as you always want your Zhonya's to come back as quickly as possible. A good Zhonya's can change the outcome of a game. Finally, I go Adaptive Force for the first two options, and scaling health on the last. Having the extra health really helps you against unfavorable matchups like Yasuo, but you could also go double armor and adaptive force against him. Q: What is Heimerdinger's core item build? Getting a defensive item earlier is also good (whether it's an HP/AP item or Zhonya's). With Transcendence and Crest of Insight (Blue Buff), you are able to reach CDR cap after level 10 and completed Luden's. Q: What's the typical order for leveling abilities? If you're getting a lot of value out of the turret lasers, then 2-3 points in Q → max W → max E. Otherwise, start 1 point in Q → max W → max E. Maxing E second is best so you can one-shot the ranged creeps with it as soon as possible. You won't be maxing Q (turret) because your W (rockets) will give you more value than Q (turret) lasers. Q maxing might still be viable in low elo, where people just run into turrets and tank all the lasers. I agree with Heisendong's skill order, and honestly, I picked up my leveling order from him. Maxing W first was his idea, since Q max didn't scale until you were level 9 after the nerf to his turrets that made him less oppressive against melee champions. Maxing Q isn't very good anymore. Q: What are Heimerdinger's easiest matchups? What are his toughest? Enemies who can destroy your turrets easily, push you in, or out-sustain your harass are the hard lane match-ups. Then come the champions who can out-range your turrets/stun combo, and lastly champs who can dash/flash the stun combo. Short-range/low mobility champions are generally an easy match up. And the easiest matchups would be melee champions like Jax, Gangplank, and Darius. I feel that more often than not, I get away with tower diving these champs as soon as I hit level 6 for a free kill. Let the snowball begin! Q: What is Heimerdinger's main job in lane? What about teamfights? Your job in lane is to gently apply pressure with your Donger. Most solo matchups can't deal with your push/harass. Fish for stuns when the enemy goes for creeps/overextends near your turrets. Play SAFE when your stun is down. Force the enemy to use their teleport, burn Summoner Spells, consume potions, and get creeps under tower so you can draw jungle aggression. Help your jungler invade and get an advantage; take objectives! Help your mid/bot lanes take their respective towers. It's important to not get too greedy, for example, pushing up too far without turrets or stun up. If you die and fall behind, you will likely lose the groove of the lane for the rest of the game. In teamfights, you should stay far enough away to avoid most threats from the enemy, but close enough to hit a max-range W on the frontline, or squishies if the frontline isn't doing their job correctly (which is 90% of the time). Keep your turrets hidden and in safe places over walls, in bushes, etc. so when you catch someone out with Ult+E (Grenades), they will shoot lasers and you can retreat to them. Ult+Q (Turret) is good for early teamfights, but falls off in base damage (compared to other ults) and is killed easily late-game. Heimerdinger's job in lane, for the most part, is to always get an early push with the help of his turrets, which enables him to roam and help his jungle fight for scuttle or invade, so I definitely like to play the more supportive role for my team. 4-man bot? Don't mind if we do! In teamfights, I look to poke with W (Rockets) and wait. Personally, I would look to use the ult-E (Grenades) for its crowd control potential and support in teamfights. Q: If someone is playing Heimerdinger for the first time, what is the most important thing to bear in mind? Your turrets are your everything. They are your friend, your lover, your livelihood. Try to have some turrets stored up when you push turrets, invade/gank/dive the enemy, and take objectives. They tank for you, block skillshots, and provide ward-like vision in bushes and over walls. Turret protec, but turret also attac. Turrets are the majority of your damage when combined with your other abilities. Remember to place your turrets down FIRST before you throw your grenade (E) or missiles (W) (because they shoot a laser if you hit the E or full W). The basic combo is auto attack → Turret → Throw E → Turret (WHILE E is in the air) → Turret → W. By the time the E lands, there will be 2 turrets on the ground so 2 lasers will shoot the enemy. Then when your W lands there will be 3 turrets, so 3 additional lasers will fire. Most enemies can't survive this combo when done properly. For players who want to learn Heimerdinger, just start by getting used to his turrets. You'd be surprised how frustrating it is when the enemy is knocking them over and you have to wait 20 seconds for another kit to come back up, so play around with placement. Next, I think it's definitely valuable to learn your stun. It's surprisingly very hard to land; even I have trouble hitting it! Get used to missing it, but just keep practicing. Other than that, just have fun. Regardless of skill level, we all have a common connection we can relate to, and that's the love for the game. Keep on keeping in, and I'll see you on the Rift. Q: What are some ways you untilt or prevent tilt? We've all been in those unwinnable games filled with trolls, afks, or feeders, but the only variable that stays constant between all my games is MYSELF. Instead of blaming others (even if it is their fault), I try to focus on what I can do to improve, and transfer that into my next game. I can't control what my teammates are thinking or doing, so why worry about it? /mute all is my best friend, and a good music playlist is my lover (recommending Nujabes, Odesza, Frank Ocean). Taking breaks after a few losses is my side chick ?? One thing that I really recommend to anyone who asks me this is to simply take a break. I realize that this is very generic and simple, but there's a reason everyone recommends this. The game isn't going anywhere, but if you continue to play with that much stress, your mental state might. Things that really add to someone tilting is going on auto pilot, which is just a natural thing in my opinion; but really getting up, stretching, getting some fresh air and water, just basically taking care of yourself really helps you. And while you take a break, you could reflect on things you did wrong and really be honest with yourself. No one is perfect, and when you're able to admit to yourself that you've done something wrong in your games and improve, you become closer to achieving your goals. Keeping a calm state of mind could easily improve your decision making skills, and in turn, improve your macro gameplay and your reflexes. Just remind yourself: everyone tilts, and it's okay to just walk awy from the game and avoid being toxic to other people. League of Legends has been my main game for the past 6 years, and I am nowhere near being perfect; but I try my best to go after perfection. Q: Thanks for taking the time to chat with us! If readers want to reach out, where can they find you? Thanks for checking out our latest "Ask a Champion Main" article. Hopefully you enjoyed the Q&A and learned a bit more about one of League's lesser visible champions. Have a question for the Heimer mains? Heisendong and lolGunSlinger will be sticking around for a bit in the comments, so ask away! If you have any feedback for this post or the series in general, drop us a post in the Discuss the Boards sub-board. See you next time! Heisendong creates League of Legends content on a number of platforms, and is a partner in the League of Legends Partner Program. He has had multiple challenger accounts since Season 4. Gunslinger one-tricks Heimerdinger, and has reached Masters the past two seasons on this champion. He enjoys using the ult-grenade combo and eating KBBQ. 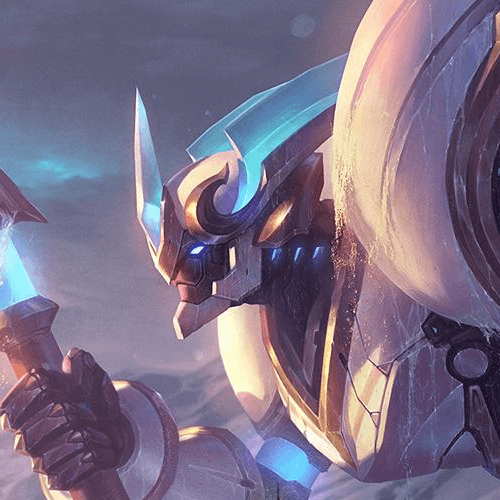 Wuks drives engagement on the League of Legends Boards through development and publishing. He one-tricked Heimerdinger to Diamond in Season 5, by the way.